I recently purchased a Triquetra touch plate for use with my Shapeoko 3. I know that several people in the community are using one but I was having issues finding a good guide on how to set it up - the information was scattered across multiple posts. So, I thought I’d put one together in the hope that it will help someone in the future. Since the Triquetra touch plate is fairly generic in nature these instructions will most likely work for similar touch plates as well - it probably works with the Nomad too. The gauge of wire that is in the cable included with the Triquetra probe is too large to crimp with the Molex terminals. 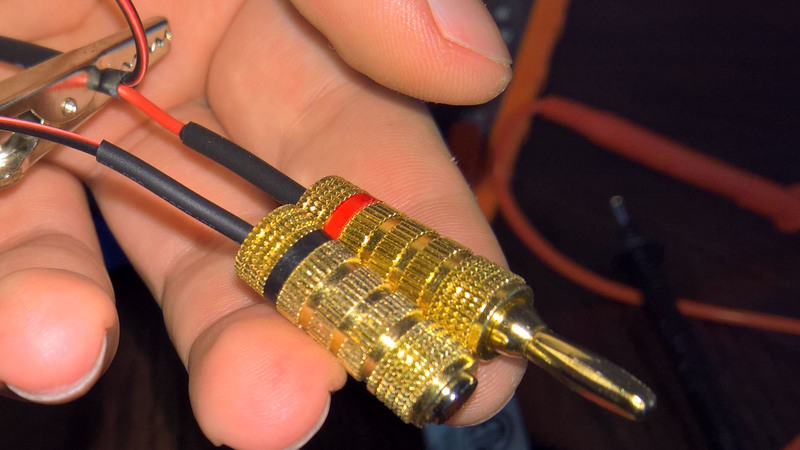 So, I replaced this with my own cable. This also allowed me to use a better quality banana plug (I had issues with the original banana plug in that it broke after removing it from the block a few times). 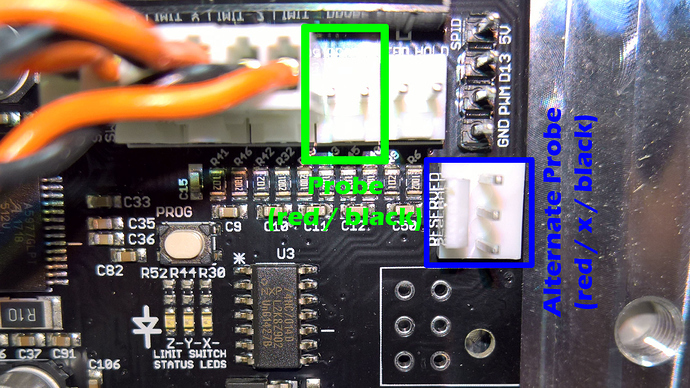 Note: newer versions of the controller board have a 3-pin header that is marked “Reserved” that is used for the Carbide 3D Touch Plate. 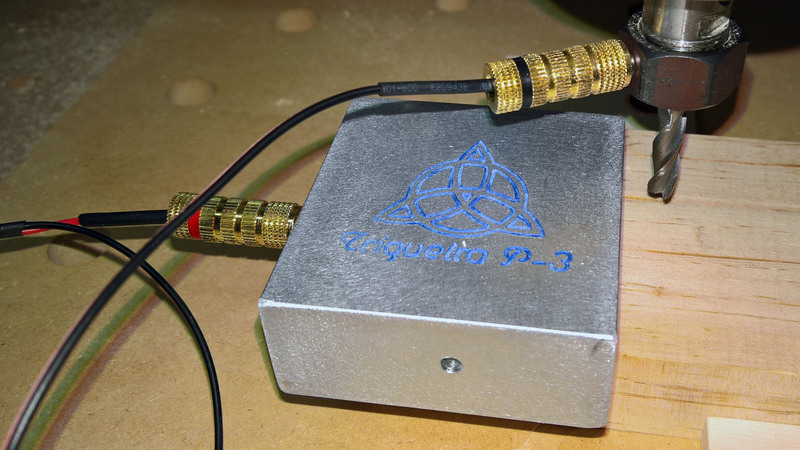 This header can be used to connect the Triquetra probe. 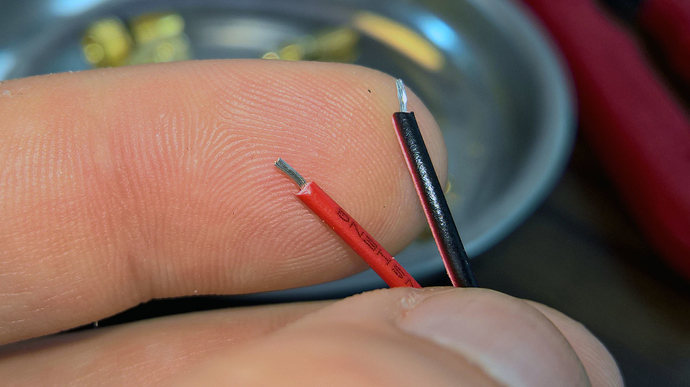 However, the Triquetra probe does not use the middle pin (red wire on the Carbide 3D Touch Plate). If you’d rather use the 3-pin header you can order a 3-pin housing instead. 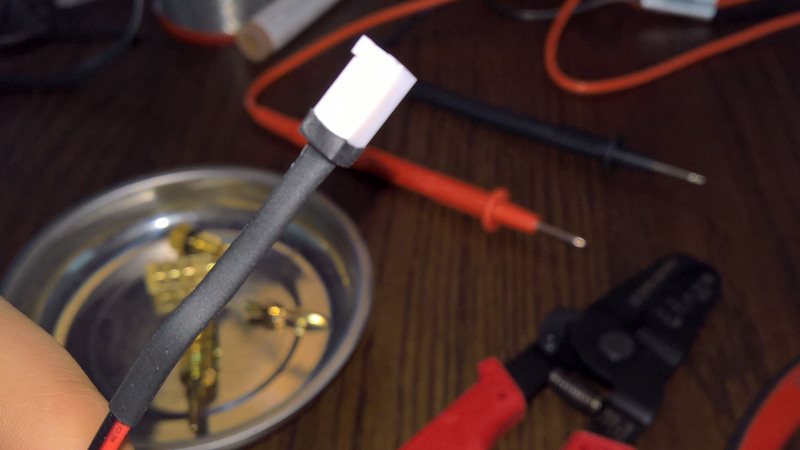 For the ground connector, I removed the banana plug post from the connector and inserted a .25” neodymium magnet into the hole. Depending on your banana plug you may need to widen the hole to accept the magnet. Or, alternately, you may need some epoxy to hold the magnet in place. A friction fit was enough in my case. Nice post. I was on the fence about this one since I missed when the shapeoko one was in stock. I’m convinced now! This is fantastic. 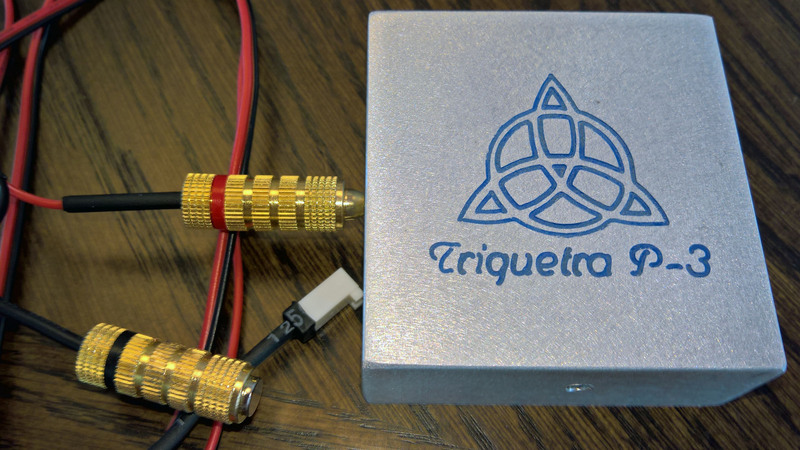 Were you able to use Carbide Motion 4 or are you using the software that came with the Triquetra? I haven’t used Carbide Motion, and I’m not sure that it works. I’ve actually never used. 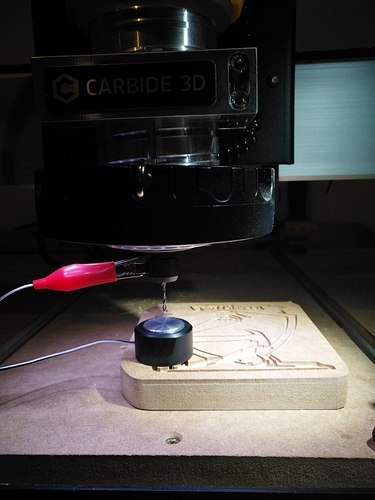 I am using CNC.js to send g-code to the Shapeoko. That software has a z-probe option that will work with this setup. I, however, use a custom macro to do 3-axis setting. Version 2 of CNC.js, which is not out yet, will natively support 3-axis probing. As for the software that comes with the Triquetra, it just generates a text file of g-code that can be used with other software. That is what I used as my starting point for the macros that I use in CNC.js. I finally had a moment to try out my Triquetra Touch Probe and I can report that it worked with Carbide Motion 4 and the GRBL 1.1. I didn’t need to install any additional software with it either. I’m still learning how to set zero with it though, but that is more to do with learning Carbide Motion. William- thats the same kind I’m planning on setting up with my machine too. Can you share any info on your setup process? 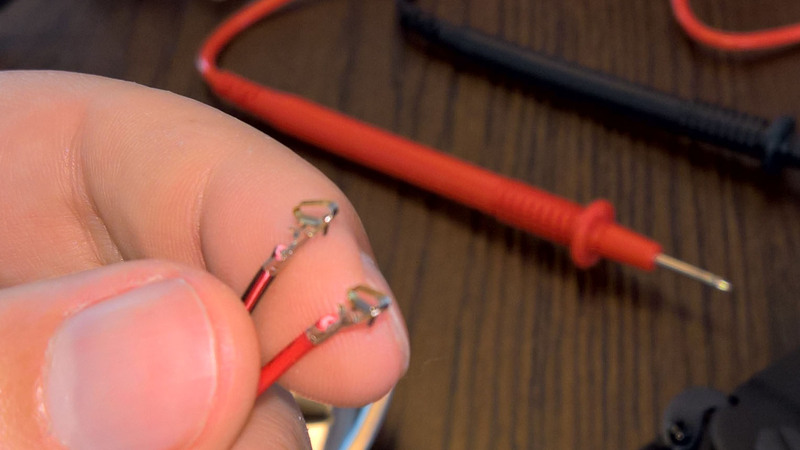 Things to look out for and basic wiring? Any advice would be great! I’m getting CNC.js setup for myself and would be interested in that macro you mentioned. Running the C3D probe though I imagine that’s irrelevant. I just purchased the same. Can you give any details about it? miles, exactly as you, would really appreciate some more details about it too! wmarin, please, if possible, can you help us? Sorry for the delay in response. For the macro, I just take the gcode that Triquetra Toolbox generates - based on the tool size and Triquetra block sizing - and paste that into a new macro in CNC.js. When I want to set my zero I place the block, move the mill close, and start the macro. It does the rest. I have multiple macros setup for different tool sizes. Does that help? Hey Dan, @neilferreri set this up for me, works well.